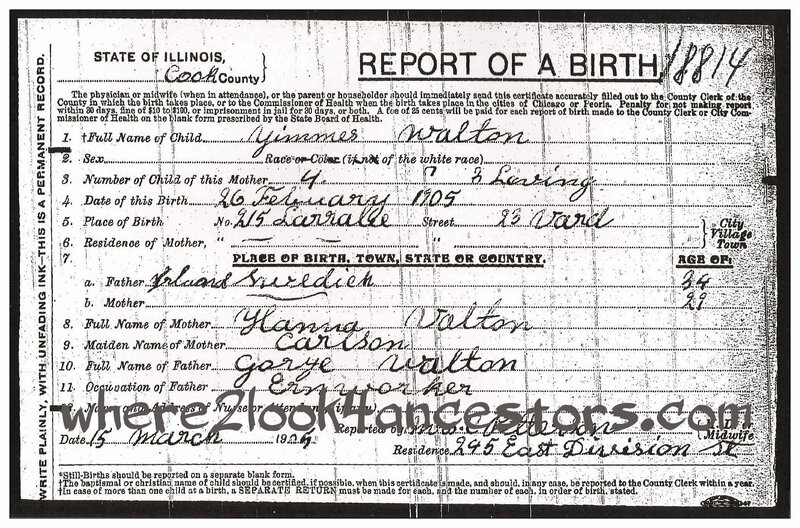 The other day I shared a trio of given names favored by my Walton ancestors. I knew Grandpa as John George Walton. He signed everything John G. Walton. My mother thought her father’s name had once been George John Walton, but his mother called him Johnny. Pretty soon that’s what everybody called him and the name-reversal stuck. Great-grandmother Hannah was a Swedish immigrant with a strong accent. Her husband was James. Knowing her propensity for adding “e” to names (Johnny for example), she may have called her husband Jimmy. Toss into the mix an immigrant records clerk and we have dad’s name, occupation (ern worker for iron worker), and place of birth (England rather than the Isle of Man) jumbled together. And Grandpa’s name? Whether it was supposed to be George or John, we’ll never know for sure.